BCRF previously reported on updates of a new class of drugs called CDK4/6 inhibitors in clinical trials for hormone receptor positive (HR+), metastatic breast cancers. There are currently two FDA-approved anti- CDK4/6 drugs available, palbociclib (Ibrance®) which was approved in 2016 and ribociclib (Kisqali®) which was approved this year. A third CDK4/6 inhibitor, abemaciclib is currently in late phase clinical trials. The MONARCH-2 trial (NCT02107703) is a Phase III trial comparing the combination of abemaciclib plus fulvestrant, versus fulvestrant alone. At ASCO’s annual meeting this week, BCRF Investigator, Dr. George Sledge presented new data from Monarch 2 that showed the addition of abemaciclib improved progression free survival from 9.3 months to 16.4 months, further demonstrating a clinical benefit of CDK4/6 inhibitors for this group of patients. In addition, early results from another trial suggest that abemaciclib may have some antitumor activity in brain metastases as well. These positive results suggest that abemaciclib will be approved later this year or in 2018. Triple negative breast cancer is notoriously difficult to treat with targeted therapies. Since it doesn’t express hormone receptors or the HER2 receptor, there are fewer biological molecules to target. Data presented at ASCO does suggest there may be ways to determine which patients will respond best to different treatments. Jelmar Quist from King’s College, London, presented data on a 4-gene signature of TNBC. Depending on if each of these 4 genes has high expression or low expression, 6 different subtypes can be determined. From these subtypes, it can be determined which patients would be most responsive platinum-based chemotherapy. Further study may reveal other subtypes susceptible to other interventions, such as immunotherapy. In fact, results from KEYNOTE-012 showed that the immunotherapy drug, pembrolizumab (Keytruda®) had few side effects and may be effective. New kinds of drugs are also being evaluated in TNBC patients, such as PARP inhibitors. Results from the ABRAZO study suggest the PARP inhibitor, talazoparib, was well tolerated and may have antitumor activity in patients with TNBC and BRCA1 or BRCA2 mutations. Emerging targeted therapies bring new hope for metastatic breast cancer. 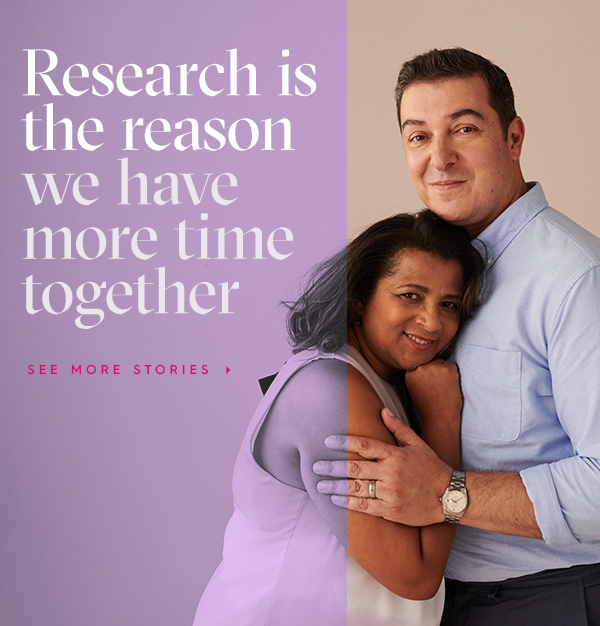 Specifically, for HER2+ breast cancers, there seems to be a drive to use more targeted treatments and decrease the use of chemotherapy. For TNBC, there are more studies that attempt to better categorize or define subtypes to better select patients for specific treatments. Several studies are still early, but we look forward to additional results being presented at the San Antonio Breast Cancer Symposium in December, where BCRF will be blogging and reporting live.